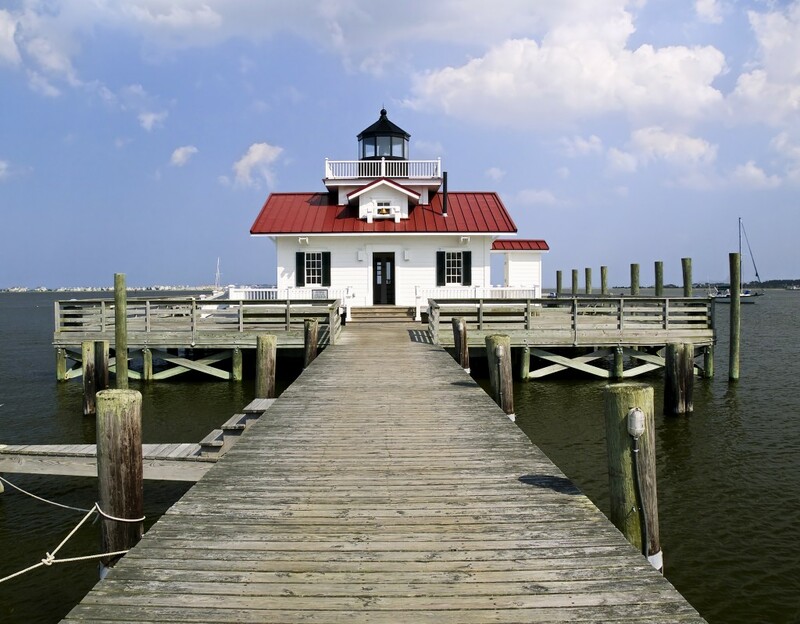 The Xclusive Weeks featured destination this week is Outer Banks treasure Manteo, North Carolina. Keep reading for a summary of this island vacation spot, as well as instructions on how to get access to last minute travel deals through Xclusive Weeks. Manteo lies on Roanoke Island, just across the Roanoke Sound from Nags Head. Wind, water, and sand shape the landscape. The constantly shifting sands form new islands every storm season, just as travelers form new memories when they visit the famous sand dunes and warm Atlantic waters. Delve into the history of flight as you visit the national historic landmark of the Wright Brothers National Memorial, the site of the world’s first controlled powered flight on Dec. 17, 1903. The Visitor Center features full-scale reproductions of the Wright 1903 Powered Flyer and interpretive presentations. The grounds include historical markers of each attempted powered flight, replica camp buildings and a 60-foot granite monument on top of Big Kill Devil Hill (a 90-foot dune) honoring the Wright brothers. For more adventure, visit the 426 acre Jockey’s Ridge State Park, containing the largest natural sand dune on the east coast. Two self-guided trails and nature programs are available year-round, as well as hang gliding, kite flying, hiking, a visitor’s center, museum, and picnic facilities. Continue your climb to new heights at the Cape Hatteras Lighthouse, the tallest brick lighthouse in America. The present lighthouse, officially completed and lit by whale oil in December 1870, is the second built of three in Buxton. It now uses two 1,000 watt lamps, visible for more than 20 miles. Climb the steps and see the incredible view of the area! Do you want to visit Manteo or one of the many other Xclusive Weeks amazing vacation destinations? Simply call RTX at 888-988-4RTX today and talk to a representative who will give you accommodation options. Want to find out more about Xclusive Weeks? Click here!